The marijuana trend is making leaps and bounds in America and across the globe. More people enjoy using marijuana in some capacity today than ever before. With the the recent legalization of it in numerous states, the movement will continue to grow in the coming years. Which brings us to the question Vaping vs. Smoking? However, much has changed regarding how the average person uses weed. Thanks to several scientific breakthroughs, it has been discovered that the way in which a person enjoys marijuana bodes heavily on how beneficial it is to them. One of the main discoveries is that vaping weed is much better than smoking it conventionally. In fact, there are numerous reasons for that. Even pro-marijuana advocates admit that smoking weed in a conventional manner can have enormously negative consequences to a person’s health. Numerous studies which suggest that marijuana cigarettes and other combustion-driven paraphernalia are linked to lung cancer. Although smoking anything by lighting it on fire can be dangerous, inhaling marijuana through a joint or pipe basically negates its many health benefits. Because the combustion of marijuana produces tar and carcinogens, smoking it can irritate the throat and lungs or even cause bronchitis. 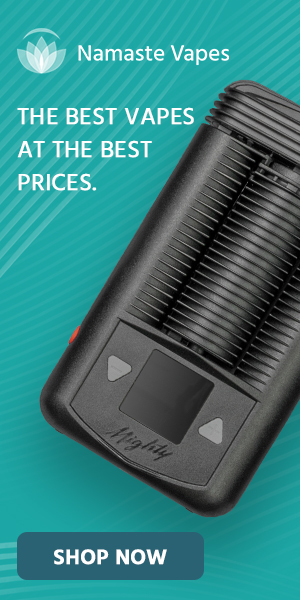 However, vaporizers are designed to heat the herb at a much lower temperatures. 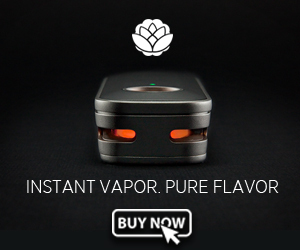 Allowing the user to inhale a much safer vapor which causes far less damage to the body. This lowered temperature also preserves the active medicinal components of the plant, known commonly as cannabinoids, without producing those detrimental by-products. You might also discover that vaping cannabis instead of smoking it can make you feel better overall. Smoking marijuana through high-temperature combustion techniques tends to leave the user short of breath and filled with anxiety, paranoia, or chest pains. Experts believe this is caused by excess smoke being caught in the lungs. A problem seldom experienced by those who vape instead. Put simply, vaporizing marijuana not only feels cleaner, but it also produces less of a bodily hangover. There are some marijuana users who claim than vaping their herb tastes bad, but that’s not always the case. In fact, most people say that a good vape pen allows them to pick up more flavor notes than a joint or pipe. This is likely due to the fact that vaporizers don’t burn the herb to a carcinogenic crisp, thereby producing a cleaner and more delicious result. Although investing in a complete vape system may take a chunk out of your bank account, the overall switch can save you tons of money. This is because vaping your weed instead of smoking it saves the herb and makes it last much longer. You won’t have to use as much cannabis to get an equally amazing buzz, and that’s a real money saver. In addition, vapes tend to convert almost half of the available THC in each bowl into usable vapor, while smoking it converts less than 25% THC. While turning it into potentially dangerous smoke instead). As the most cost-efficient way to enjoy marijuana, vaporizers require a lower dose than joints, bowls, and even edibles. Furthermore, vaping creates a usable “duff” at the bottom of the device, allowing you to utilize the leftovers and pocket even more cash. Since the main point of enjoying marijuana is to catch a buzz (or, in some cases, to benefit from the medicinal side effects of it), using a vaporizer instead of smoking increase your high. Although some users may feel like their high is quite delayed, the end result is typically much more potent. This is especially true if you invest in a high-end vape pen or bong. Because there are so many different vaporizers on the modern market, it’s possible to have a device to match your outfit for each day of the week. And while that may not be of importance to everybody, some marijuana users really appreciate that. In today’s world, awesome looking merch is all the rage. “Vapes come in all shapes, sizes, and colors. Vapes can be recharged using a standard USB cable, making them ideal for smokers on the go. This means that you don’t have to accessorize with lighters or torches. Instead you can coordinate your habit with whatever else you choose without having to worry about bumming a flame. Obviously, vaping your weed is much better than smoking it old school. Not only does it allow you to reap the benefits listed above, but it can also make you feel more trendy and high-tech about your favorite pastime.